Blue Frog Appliance Repair offers neighborhood home appliance repair to Douglas County residents, including Castle Rock, Parker, and the South Denver metro area. Modern household appliances including washers, dryers, refrigerators, and ovens have become nearly indispensable in our day-to-day lives. When a particular appliance is not working properly, even the tiniest malfunction can greatly disrupt your daily routine. At Blue Frog Appliance Repair, we realize that residents of Castle Rock, Parker, and south Denver Metro areas make large investments in quality household appliances to save time and energy on tedious household tasks. That’s why we are dedicated to helping our Colorado clients extend the lives of their appliances through our comprehensive appliance repair services, with everything from dryer vent cleaning to major refrigerator repair. 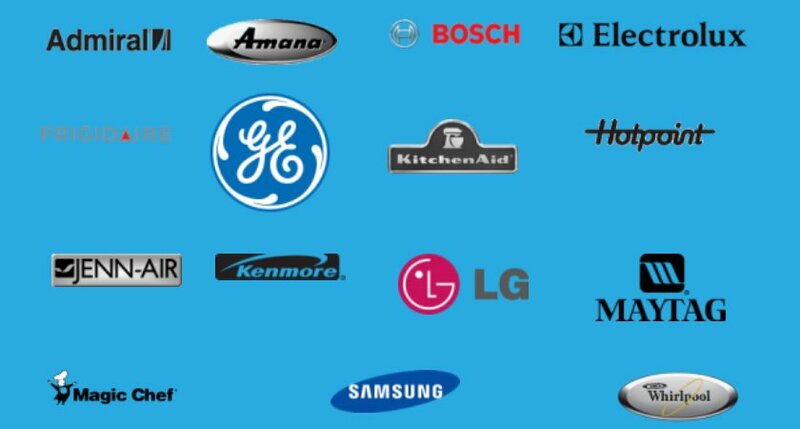 We take pride in repairing major laundry and kitchen appliance brands, including LG, Samsung, GE, Whirlpool, Kenmore, Maytag, Kitchen Aid, Amana, Frigidaire, and more! Contact Blue Frog Appliance Repair today for a free phone estimate and find out why we are quickly becoming Castle Rock and Parker’s favorite locally-owned appliance repair service! Contact Blue Frog Appliance Repair today for a free phone estimate and find out why we are quickly becoming Castle Rock, Parker, and the south Denver metro communities’ favorite locally-owned appliance repair service! Ask us about our customer satisfaction guarantee and 1-year parts and labor warranty. We offer same-day or next-day service to get your appliances up and running faster than our competitors. 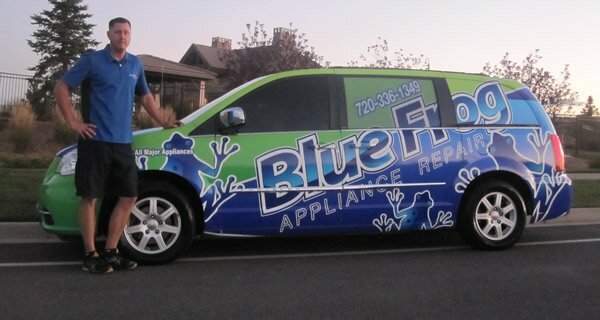 Call today and find out why Blue Frog Appliance Repair is a cut above the rest! Blue Frog Appliance Repair prides ourselves on honest, competitive pricing with same-day appliance repair service from our trustworthy appliance repair technicians. Our flexible scheduling allows for convenient and timely service with minimal disruption, so you can get back to your daily routine before you even realize we were there! Any calls you make are directed directly to a professional technician rather than a customer service rep, so you get your questions answered directly from the experts. Blue Frog Appliance Repair wants to make our services as convenient as possible because we aren’t satisfied unless you are!